The National Football League (NFL) has witnessed tremendous transformations owing to the contributions of so many talented players and coaches from all over the world, one among the greatest coaches of the NFL is William Stephen Belichick, a.k.a Bill Belichick, the current head coach of the New England Patriots, he holds the record for being the only coach in NFL to win five Super Bowls as a head coach; a record that turned some green with envy. There are so many amazing stories surrounding this great achiever that this article will be based on, including his bio, wife, children, and net worth. Bill Belichick as he is professionally known as, was born on April 16, 1952, in Nashville, Tennessee. His parents are Jeannette Munn and Steve Belichick, a former assistant coach at the US Naval Academy. Aside from his natural talent, Bill got the morale and technicalities he needed to be successful in the business of football from people like his sporty father. Bill had his education at Annapolis High School where he finished in the year 1970 at the age of 18. During his high School, he participated in sports and excelled in football and lacrosse. After high school, he enrolled in Philips Academy in Andover, Massachusetts where he did a postgraduate course in order to improve in his scores, grades and get admission to the college. Shortly after he was admitted into Wesleyan University in Middletown, Connecticut, he graduating with Economics degree in 1975. Bill Belichick did not just play football during his varsity days, he also did well in lacrosse and squash. Straight out of the University, he landed his first paying job as the assistant to coach Ted Marchiibroda, the then head coach of Baltimore Colt in 1975. He was later hired by Detroit Lions where he spent 2 years and worked as their assistant special team’s coach before moving to Denver Broncos in 1978 where he spent just a season. He joined York Giants for 12 years serving as the Team’s defensive assistant and special teams coach. After his 12 years full of exploits in York Giants, he left for Cleveland Browns where he served as the team’s head coach between 1991 and 1995. Bill Belichick, after being dismissed by the Cleveland, was hired by the Patriots as an assistant and defensive back coach in 1996 but after a short spell with the Patriots, he headed to the New Jets in 1997, where he acted as an assistant head coach and defensive coordinator, he was still committed to the team when he was made a new offer by the New England Patriots in 2000. An offer he accepted with a condition of the Patriots giving the Jets a first-round pick draft which would serve as compensation. The rest, as they say, is history; Bill Belichick is still committed to the Patriots since joining them in the season of 2000, winning a record of 28-10 in the playoffs and 5-3 in Super Bowls. 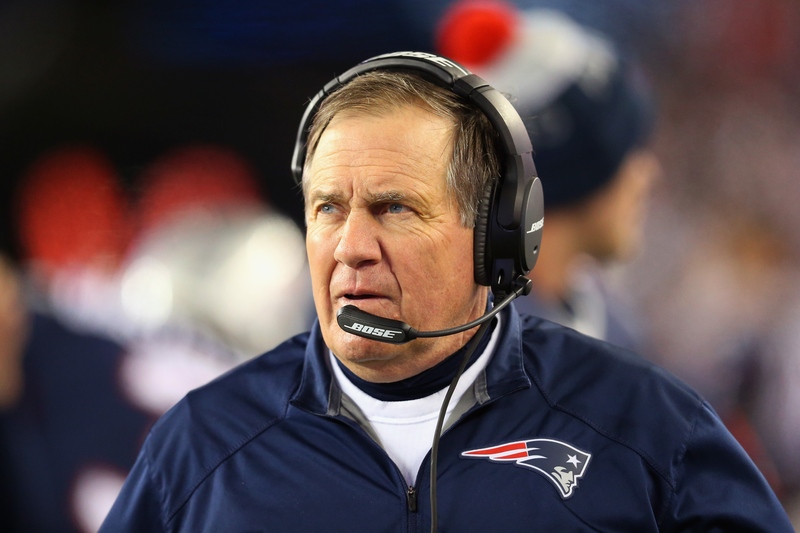 He also has the record of leading the Patriots to 15 division titles; five of them were consecutively won between 2003 to 2007 and 10 consecutive titles that ran from 2009 to 2018. The only year the Team missed the playoffs under Bill was in the year 2000 after newly joining them. The 11 inches taller than 5 ft American Coach is widely considered as one of the all-time most successful coaches in the NFL, owing to the number of years he has spent in many teams, he has also pocketed a reasonable sum of money in his coaching career that is heading to three decades. His salary is said to worth over $10 million. His net worth is currently pegged at $35 million. Bill had a cordial relationship with his parents, especially his Coach father, Steve, who taught him many other things, even the game of football. It is also possible that his closeness to his parents was as a result of being born an only child. He is a Croatian descent as his paternal grandparents, Ivan Bilicic and Marija (Mary) Barkovic were emigrants from Karlovac, Croatia but settled in the Monessen City, Pennsylvania of the US in the year 1897. Bill also has a fatherly child relationship with his kids, despite not being married to their mother anymore. Bill Belichick was once married to Debby Clarke, who he met when he was in the High school, and they were together as husband and wife for 28 years before they officially divorced in 2006. The reason for the divorce though not stated, but it’s alleged that Bill’s love affair with the former Giants’ receptionist, Sharon Shenocca fueled the divorce. After their divorce, his former wife established an interior design business that she comfortably runs in Massachusetts. They had 3 children, Amanda Belichick (daughter), Stephen Belichick (son), and Brian Belichick (son). Amanda graduated from Wesleyan University and currently works for Holy Cross College in Massachusetts as the head of women’s lacrosse coach while Stephen graduated from Rutgers University on scholarship where he played lacrosse and football while Brian graduated from Trinity College. The two brothers currently work with their dad in the New England Patriot’s team as its coaches. Stephen and his wife have a daughter named Blakely Rose which makes Bill a proud grandfather. He found love again in Linda Holliday, a mother of 2 Twin daughters from Jupiter, Florida. They have been dating since 2007, she was a television personality but now has a clothing line. Plus, she heads Bill’s foundation: Bill Belichick Foundation, as Executive director, providing succor to hapless young people across the globe. When Linda was spotted with a ring that looked somewhat like an engagement ring sometime in 2014, many people presumed that they were engaged and would soon marry, but no news came from their quarter to debunk or confirm the assumption.